DJ BK is a disc jockey by trade and entertainer at heart. 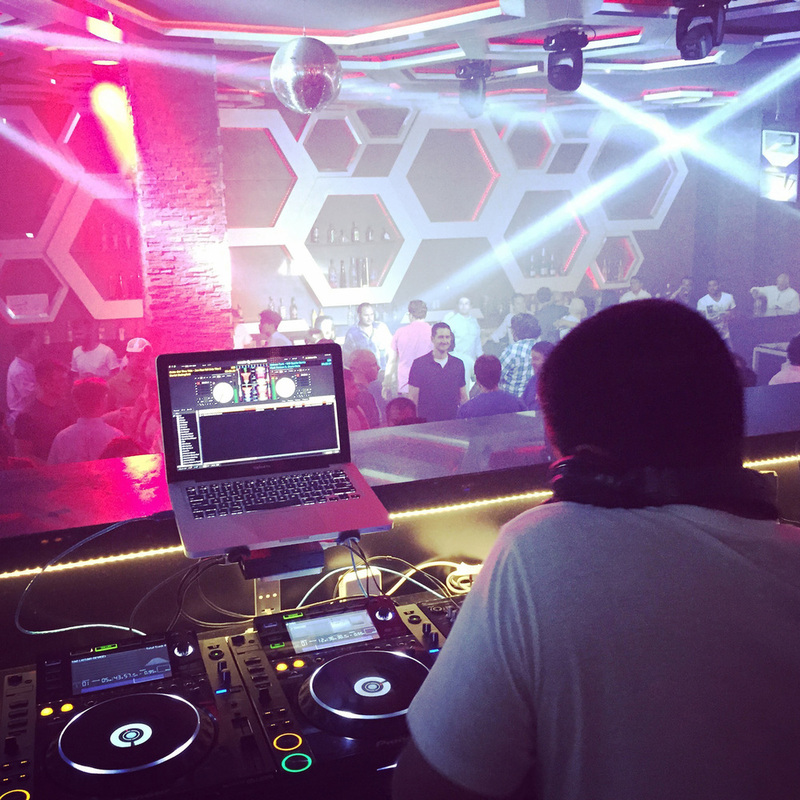 He works across musical genres and cultures to bring a party to life. DJ BK and his team understand each event is different and will work to ensure each client's needs are met within budget. Contact us for a custom services package. Visit Luxe Event Entertainment to book DJBK for your upcoming wedding. See our gallery below for a sneak peak of what we offer. DJBK makes sure the crowd is ready to go... even for those early morning baraats. 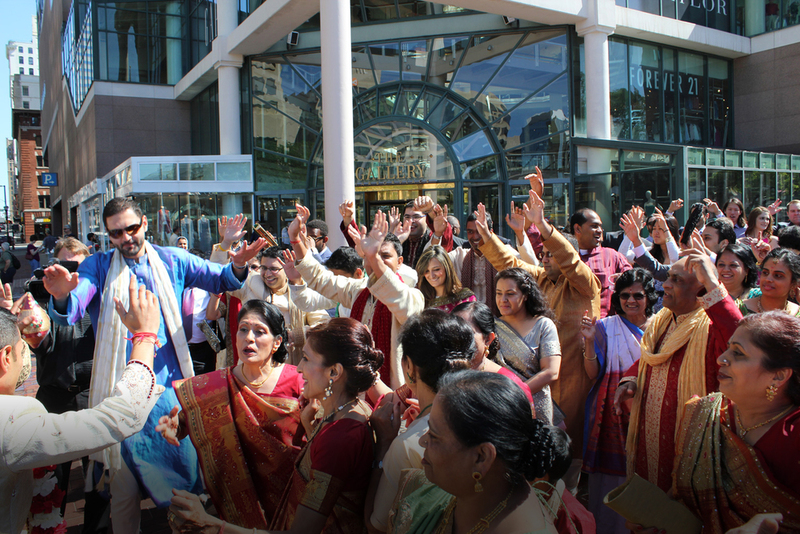 DJBK understands the complexities of South Asian wedding ceremonies and will work with you and your pundit to create the right ambiance throughout the program. DJBK makes sure your groom's procession is picture perfect in every way and will work with your photographers to make sure they capture the moment. Search Instagram #bluebeamerbaraat for more pictures like this. DJBK understands you want your marriage to be picture perfect and will work to hide chords and other unsightly equipment from stage areas. DJBK works with any ideas you have to make your event stand out from the rest. DJBK collaborates with the best dholis in the industry to give your event the rhythm it craves. DJBK and his team come early to each event and ensure a clean and professional setup. Custom monograms can be projected onto walls, floors, ceilings, or stage areas to amaze your guests and brand your event. A talented staff of audio and visual technicians provide just the right outlet to showcase videos and slideshows for your event. DJBK will work with you to incorporate these into your itinerary for your guests' enjoyment. Wireless LED uplights line the perimeter of a room to provide a wash of your chosen color. An elegant fade provides ambience to any setting and a vibrant color strobe energizes any dance floor. Wireless LED uplights can complement your event's decor or a special feature of your venue. DJBK and his team pay special attention to details throughout the night. We will even work with you to highlight special moments with our state-of-the-art intelligent lighting such as the first dance or cake cutting ceremony. DJBK only has fun if your guests have fun. He works tirelessly to keep your guests engaged throughout the night. DJBK ensures your guests will leave the evening smiling. DJBK and his staff work endlessly behind the scenes to ensure all details are taken care of so you don't have to. DJBK is an artist and entertainer. He stays up to date on the latest music and mixes seamlessly between genres, new and old. Wanna get away? Take DJBK with you!